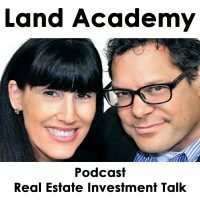 Steven Butala: Welcome to The Land Academy Show, entertaining Land Investment talk, I’m Steven Jack Butala. Steven Butala: Today, Jill and I talk about the three business owner essentials and I don’t think they’re what you think they are. Jill DeWit: I’m curious, this is gonna be good. This is one of those shows where we didn’t talk about it, I wrote down three things I’m like hm, what do I need, I took it as what do I need to be a strong business owner and have a thriving business. Steven Butala: If I was a, let’s say I’m a person who’s done 25, I’m a Land Academy member who’s bought and sold 25 properties, I’ve done everything myself, accumulated a bunch of dough, a lot of people are in this situation in our group. I’m about to take on a personal helper or assistant, and there’s like posting things that I need to outsource stuff and I’m just at that point where I realize it’s successful, being I’m thinking about quitting my job I need to struggle for some of these things, just test it out. What’re the three things, that you have to do? That’s really what this show is about, this episode, as a business owner to make sure it’s all successful the first time around. Steven Butala: Before we get into the topic, let’s take a question posted by one of our members on the Land, I’ve said this sentence almost 1000 times, and I still can’t say it right. Jill DeWit: What is that? Why is that? You never follow the script, it’s always different, you get tongue tied, I don’t understand, do we need to change something? Steven Butala: If it was just like, the whole show is just one word, that would be about my level. Like, thanks. That’s the whole show. Let’s take a question posted by one of our members on the landinvestors.com online community, it’s free. Jill DeWit: John asks, “Hi, guys. How did you get from the purchase and sale of your first property to where you are now?” I love it. Now, I’m gonna say, I personally answered this last Wednesday, I think it was my last, yeah, so today’s Tuesday, so my last Facebook live show last week on Wednesday. My show number 12, so if you haven’t watched it, actually it was one of the best ones, by far, of all that I’ve done, so sir, why, what? Steven Butala: Can you pat yourself on the back? Can you reach around and pat yourself on the back? Jill DeWit: I think I just did. Steven Butala: Well the last show I did is by far the best one. Jill DeWit: This one not so much. Steven Butala: And how I look today is by far the best I’ve ever looked. Jill DeWit: Stop, thanks a lot. Correct me if I’m wrong, that was the best show, it was the longest show because we had the best questions and it was like the most fun topic, I think. I was having a ball. Anyway, if you’ve not checked it out, check out that show, I answer this question. So, Steven, would you please enlighten us and show us your answer? Steven Butala: I’d like to see, I don’t remember your answer. Jill DeWit: No, it’s your turn, you watched the show, I know, but it was a week ago. Jill DeWit: That’s one of the things I referenced. Steven Butala: A partner at KPMG in Pennsylvania, doing great financially, and I was just disgusted, disgusted with my career, disgusted with my life. Smoking two packs of cigarettes a day, overweight, just because I hated my job. Fortunately, I didn’t have a wife or kids at that time [inaudible]. Jill DeWit: Wow, I’m sure you looked spectacular. Steven Butala: I’m not. How I look now is the best I’ve ever looked. Jill DeWit: By far. All right, I got the [inaudible], oh my gosh, that’s good. [inaudible], how about this business? Jill DeWit: Crying a little bit here. Steven Butala: You could buy a car, you could buy toothpaste, so that was the place I bought stuff that it would just get sent right to my house and it was cheap, so. One day I’m like wow, it’d be cool if you could buy real estate on here and then that’s how the whole thing started. I bought a piece of real estate from Pennsylvania in Arizona, it was an 80 acre property, I think I bought it for eight grand, so it’s $100 an acre. Jill DeWit: You were in Pennsylvania? Steven Butala: Yeah, and it was very poorly presented. It was like here’s the APN, it’s 80 acres, here’s a picture of the plat map, literally like a picture, and so I bought it and I paid for it with a credit card actually and cleaned it all up, took 30 days because I didn’t know what I was doing, anything about computers at all that didn’t have to do with Excel or accounting. And dressed it all up and sold it for like 18 grand. Jill DeWit: Would you describe dress it all up? Steven Butala: Well, what the property taxes are, I had property taxes current, basically the basic due diligence. Jill DeWit: All the questions that everyone would ask. Steven Butala: It puts together some maps and some pictures and first, when I bought it, it didn’t have any of that. When I look back at that, that was ridiculous. Eight grand is a lot of money, and so like for 16 or 18, I think I doubled my money. And I was shocked, the guy paid immediately, we deeded the property and I look back on that soon, and I don’t know how I knew how to do that. I just knew about real estate. There was no YouTube to go check stuff. Anyway, the thought that I had immediately was if I can sell one of these like this, did I get lucky or can I just consistently do this? So I bought and sold a bunch more. It was just from there, I left. Steven Butala: I left Pennsylvania and moved back to Arizona and just made a business out of it. I closed a bunch of huge deals for KPMG, I got massive commissions like, almost a million dollars in commissions in one year and I’ll get a certain percentage of that and, I mean this is a long story, I don’t wanna take up all the time here, go about the topic, but long story short, the way we were buying/selling commercial real estate, nursing homes and stuff, I was sending faxes out over night because phone rates were cheaper. So everybody who owned these buildings all over the country and they told me we wanna buy your property, and that’s how we were buying property all over the country, brokering it essentially for a consulting portion of KPMG. Jill DeWit: Was it nine? Steven Butala: Was it nine? Steven Butala: She brought an element of customer service. Jill DeWit: I started dabbling in it in ten, I think. Steven Butala: And geez, I don’t know how many deals we’ve done together. Thousands and thousands. Steven Butala: Now we’re doing huge deals. I mean, huge house deals, we’re making couple hundred thousand dollars per properties now in some cases. So that’s how that first property, I just got hooked. 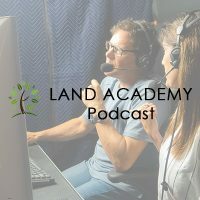 If I would have had the resources that we provide at Land Academy, back then, I would have been, it would have taken me two years to get what took me two decades. And not just the Land Academy resources, but the internet the way it is. Was that long winded? Jill DeWit: That was great, thank you. Steven Butala: It hurts a little. Jill DeWit: If you don’t mind we have a show to do too. I didn’t wanna interrupt though, just by the way. Steven Butala: But this topic, the three business owner essentials and how I don’t think they’re actually what you think. This is the meat of the show. I think our first stuff just popped for like a half hour, it seems. Jill DeWit: So I was thinking, wait, back up. You gave a little intro about what you think the business owner session was, you said “You’re at this level,” what did you say? Steven Butala: I said, so let’s say you’re a Land Academy member, you’ve done maybe ten to 25 deals, you’ve accumulated a nice bank balance, you’re 100% convinced this works, and you’re saying stuff, obviously have a job, and you’re saying sentences in the morning to yourself like this, “Wow this really works and going to this job today is really cutting in to me actually making some serious money. I need a little more time. If I could just get organized and stuff, I really think I could make a whole business out of this.” If that’s where you are, here’s the three things you need to know. Jill DeWit: Okay, mine are gonna be different than yours. Jill DeWit: Of course, it should be. Mine is number one, actually I’m reordering my structure. Number one is direction and clear goals. I wrote that as number three but I’m moving that up to my number one. My number two is the right equipment and software. I’m thinking about our struggles, things we’ve had to do. Man, if you got a slow computer and the wrong equipment and you can’t get things even just done, that could sink the ship. So that’s my number two, and then my number three is when you’re ready for it, a team that’s strong and empowered. Steven Butala: Variations of that. Jill DeWit: Oh, good. So I’m not too far off from you. Steven Butala: Well, yeah, actually I think that they’re really close, maybe the same, but I would describe them differently. Jill DeWit: Okay, what’s yours? Jill DeWit: And he did it like that day. Steven Butala: Grossed a million bucks. Jill DeWit: Next year was a billion. Steven Butala: Like to the day, it all happened. Jill DeWit: Yeah, yeah. He did it, man. Steven Butala: It did happen. Steven Butala: So you need to have a budget and you need, whatever, if you have a goal of making a million bucks in 365 days, the budget and the schedule tie together. You need to look at that end date and then work it all the way backwards. Jill DeWit: Okay, so ours is the same. Steven Butala: Day by day, yeah. Steven Butala: Number two, nothing will happen in the 365 day period at this level of your career unless you have somebody right next to you that you trust, and that you’re willing to have a lot of patience with, and you wanna season or groom to eventually be you. It’s so much harder than it sounds. Steven Butala: Because that person, we teach this in Land Academy 2.0, there’s you at the top, there’s this person under you, and then all these COs. So it all [inaudible] up to that person and then it gets to you. The stuff that that person can’t make, the decisions they can’t make, like should we really do this deal. I’m gonna pull the trigger on this deal, yes or no. Right at the end, yes or no. You need to be making those decisions for quite some time so that person you’re seasoning can make them on your own, or you can go on vacation and say yeah I know we’re gonna do these 32 deals while I’m gone and you can do them. That’s gonna take two years, so. Don’t kick yourself if it takes maybe even three years. It’ll take at least two years, let’s say, and then the chances are you’re gonna go through about four people before you get that right person. Steven Butala: We just had a conversation with a guy that’s hired his mother to be in this position and I really questioned that decision. Jill DeWit: I said that, like what if that doesn’t work out, how do you let her down? Jill DeWit: I’m letting you go as my assistant, but not my mom. Steven Butala: And number three, I cannot emphasize this enough, and it’s something that no one’s right on and Jill never said a word about it, if you don’t like computers or don’t understand computers, not just Excel, or don’t have the patience for computers, if you’re one of these people that says you know I have a lot of patience for my kids but I’m ready to throw my computer out of the window every single day, this will never work. You’re gonna be on a computer 15 hours a day, and you’re gonna make it your best friend and make it your own or it’s gonna own you. About 80% of the customer service that happens on Land Academy is something like this, I can’t log into your website, I forgot my password. Steven Butala: How do you start this video? I can’t hear you guys. Jill DeWit: I can’t find something. Steven Butala: I can see you but I can’t hear you. It’s all kindergarten level computer stuff. And if I sound a little angry about it, it’s because I am. It’s really frustrating. Jill DeWit: I wasn’t too far off. The way you describe it, I call it the right equipment and software and I guess the right tools that you know how to operate, and if you don’t know how to operate, you need to learn. Steven Butala: If you’ve done 25 deals you’re past it. Steven Butala: The vast majority of the people who are my age, and not everybody, just they can’t turn a computer on. Jill DeWit: But we do. Jill DeWit: [inaudible] like that. Steven Butala: Just learned how to use computers and I just have a natural knack for it, I don’t know why. I didn’t try or, my high school computer teacher was really hot and I think that’s truly why. Steven Butala: I took apart the toaster. Jill DeWit: I didn’t take apart the toaster, but if I had to take apart the toaster, I’m not afraid of it. I would figure it out and lay it all out and I would know how to put it back together. Steven Butala: I’ve seen you do this stuff. Jill DeWit: Thank you. I can take apart the toaster if I have to. That’s it. Steven Butala: You’re the best, Jill. You’re like my dream girl. That’s it. Jill DeWit: Yeah, I don’t really want to but I could. Thank you. Steven Butala: I see everything in a schematic. Like if you’re in a schematic like of a doorknob, how all the parts just expand, [inaudible]. Jill DeWit: See I could do that. I could take it apart and I would know, and how I do is I would be very meticulous about it. The cover goes here, and I would work out all the parts so when I go back to put it all back together, the parts are all laid out and I’ve put them there. I do that with everything. That’s very interesting, maybe that’s, I feel that’s part of the mentality. Steven Butala: I do that. I think it’s, it is. Jill DeWit: Because I do. Steven Butala: I do that with the real estate deal. [inaudible]. Jill DeWit: Trying to think when I’m learning a new program, you know what, like OBS, let’s just say for videos, I’m learning OBS, well I’ve learned OBS enough that I need, whatever. But I remember sitting down first, going okay, I have to connect the camera first and this second and that third, then we have the audio, and I kind of remember the order, and that’s it. Interesting. Steven Butala: I can’t even imagine how much easier and efficient this is going to be. The anatomy of the deal is never gonna change. Acquisitions, engineering, and sales, and the real estate part of this is probably well, there’s not much variance in our lifetimes. But, excuse me, how these deals get done and how you rank your due diligence to stuff will dramatically change. Jill DeWit: That’s true. [crosstalk] easier, hopefully. Steven Butala: There’s 150 million properties in this country. It’s a finite database, it’s not this infinite thing. You drive down the freeway and you’re like oh my gosh, there’s like 5000 parcels out there. It’s finite, and the databases are done, they’re finished. And people like realtor.com and Data Tree at little costs have created the databases and they’re complete and they’re done. It’s just up to us to use that data to put a bunch of dough in the bank, it’s simple. Jill DeWit: Thank you, thank you. 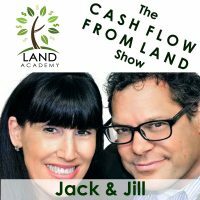 Steven Butala: Well, you’ve done it again, spent another 15 minutes or so listening to the Land Academy Show, join us next time where we discuss money, should rule all of the decisions you make in your business. Jill DeWit: Yep, and we answer your questions posted on our online community, landinvestors.com, it’s free. Steven Butala: You’re not alone in a real estate ambition. Jill DeWit: You had a lot to say about that man. Steven Butala: Yeah. It’s too much talking. Jill DeWit: Where did that come from? Steven Butala: I don’t know. You know where it comes from, the trials and tribulations of running a real estate investment career since 1999. Steven Butala: And on top of that, since we started Land Academy in 2015, watching other people do it. And I feel bad, this computer thing, I just feel bad. There’s some real talented people that just can’t grasp it for some reason. Jill DeWit: I personally, I don’t know, even watching our people, you can’t give up. When I say our people I mean our staff, it’s like you have to find it in yourself to force yourself to go get the answer. It’s out there. Steven Butala: It’s out there, the answer’s out there. Jill DeWit: It’s out there. Steven Butala: The truth is out there. Steven Butala: You’re lost in the woods with a cell phone connection. Jill DeWit: With a cell phone connection, and you trip and your bone’s sticking out. Steven Butala: Like you have to Rambo surgery yourself. Jill DeWit: Exactly. I bet you could YouTube this and find some twigs, whatever, it’s probably out there. So there’s kind of no excuses. Steven Butala: There’s so many questions. Jill DeWit: We need, that’s it, and people just give up. Then, you have to find it in yourself. I don’t care who you are or how old you are, if you sit down and you say I will learn this, so what? Steven Butala: You’re mom mad now. Jill DeWit: My motivational, inspirational coming out right now. You can do it and you know you can. Don’t give up. Steven Butala: Mom’s mad again. Jill DeWit: I am mad. I don’t care if it takes you two days, sit down, watch the video 18 times, pause it however many times you have to, you will get this. Steven Butala: There are people who have patience for certain stuff and not patience, like no exception. There’s tons of stuff I have zero patience for, zero. Jill DeWit: You’re so right. Same here. Steven Butala: My computers happen to not be one of those things. Jill DeWit: So if you don’t have the patience for it, get over it. This is gonna take you longer and that’s okay. That’s just how it is. Hey, wherever you were watching or listening, please rate us there. We are Steve and Jill. Steven Butala: Steve and Jill. Information.